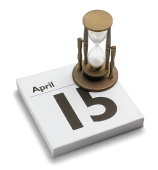 News from LMCU: Are you ready for tax time? Did you know that there’s still time to reduce your taxable income by making a contribution to your Individual Retirement Account (IRA)? How much you are able to contribute depends on several factors, but you can contribute towards the 2012 tax year until April 15, 2013. Your deduction may be limited if you (or your spouse) are covered by a retirement plan at work or your income exceeds certain levels. If you (and your spouse) are NOT covered by a plan and meet the income requirements, your deduction is allowed in full. The 2012 contribution limit is $5,000 ($6,000 if you’re age 50 or over) and applies to both traditional and Roth IRAs. For more details, contact our IRA Department at (616) 242-9790 ext. 6335.